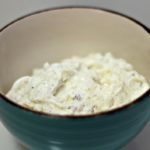 If you are looking for a delicious and easy dip recipe, look no further! 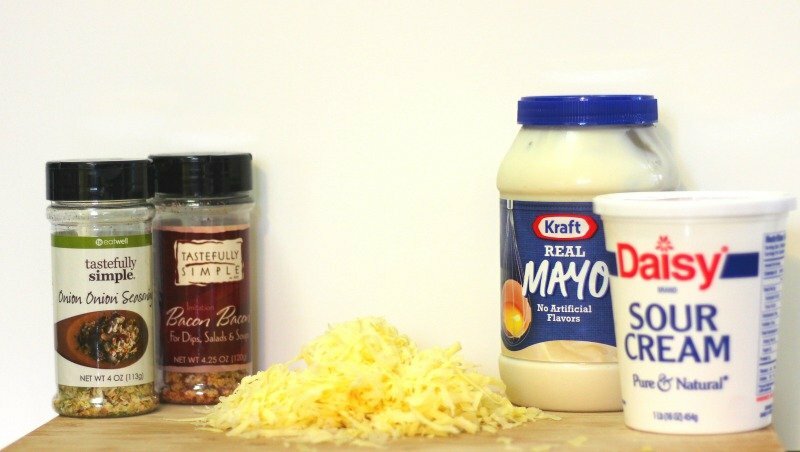 I was looking in my cupboards, and decided to experiment with some dip ingredients and Jarlsberg® and came up with this. Disclosure: I received free cheese coupons in order to try this cheese. I was not required to give a review. All opinions are honest, my own, and may differ from yours. I’ve only known a handful of people in my life who have not liked cheese. I think they must be broken because who doesn’t like cheese?? I love every kind of cheese that I’ve tried so far. Jarlsberg is a new cheese to me, but I love it too. Jarlsberg Cheese was created in 1956 using an original Norwegian recipe and has a mild, mellow and nutty flavor. It is naturally gluten and lactose free, so it makes a great choice for parties since you won’t have to worry about your gluten free and lactose intolerant friends. You know what else is great? Bacon. Enough said. I used to sell Tastefully Simple, and I still use their products. I love how delicious and easy the dips you can make with Tastefully Simple are. When I was thinking about making a dip with this cheese, I knew I had to use my Onion Onion in the dip. But as I was perusing the cupboard, I thought, “Bacon Bacon would make this even better!” I was right, of course. If you don’t have Onion Onion and Bacon Bacon you can substitute them with whatever onion dip mix you have and some bacon bits, though I definitely prefer these mixes. 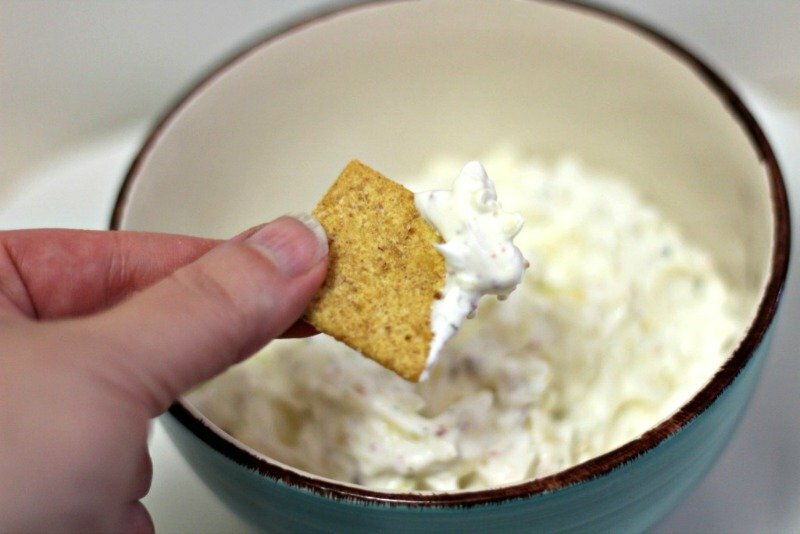 To make this dip, I used about 4 oz. of Jarlsberg which I shredded, 1/2 cup of real mayonnaise, 1/2 cup of sour cream, 1 tablespoon of Onion Onion and 1 tablespoon of Bacon Bacon. I mixed everything except the cheese together to make sure it was well mixed and then stirred in the cheese. Serve with crackers, pita chips, bagel chips, etc. You had me at bacon! We seriously love dips like this in our house and I can’t wait to make this. Jarlsberg is a huge favorite of mine! Of course, I’ve never met many kinds of cheese that I didn’t like. 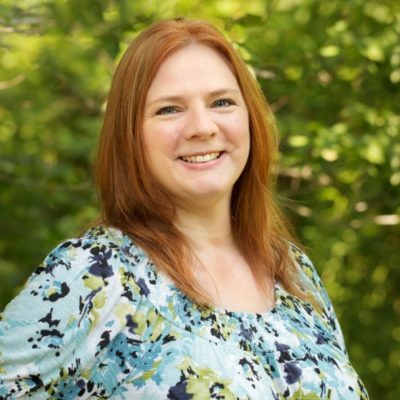 I love to make a grilled cheese and strawberry jam sandwich with Jarlsberg and I can hardly wait to try your Cheesy Bacon and Onion Dip. It looks so delicious. That sounds delectable! I’ll have to make that next! Jarlsberg is such a fantastic cheese. 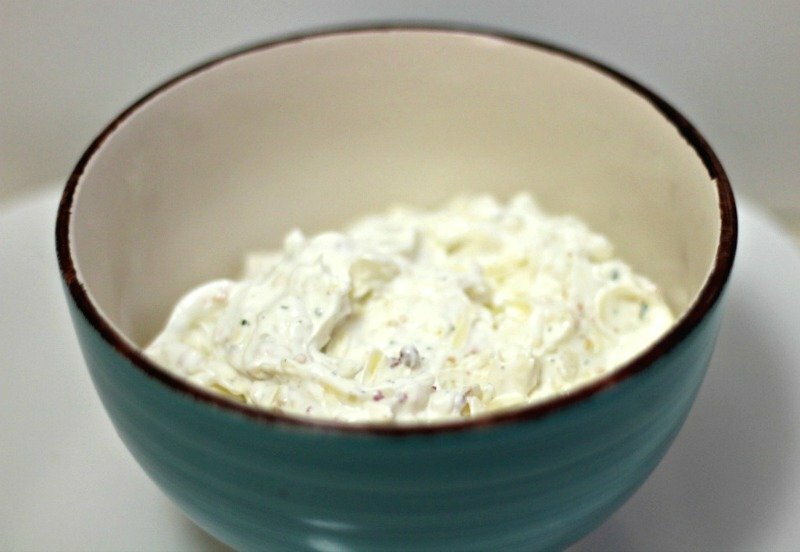 The onion dip looks nice and thick – perfect for dipping. I don’t like when my dip is runny! It is delicious! I like thick dips too…and cheese balls! Nothing’s better than cheese and bacon! Cheese and bacon were as far as I needed to go lol! This looks and sounds like a great dip for parties or family nights in. Thanks for sharing! It is! We love dips on New Year’s Eve especially! We love all kinds of dips and have them for snacks, appetizers and for any occasion. Bacon in anything is a hit around my home. I would probably use real bacon to make my family very happy. Nothing beats real bacon! I like this because it is quick. I put it in burgers too! This looks and sounds like a great dip to make for a party. I love trying our new recipes when we have company. This would be great for a party! I liked it even better after it sat for a whole day. I like this recipe (and, full disclosure, I eat a lot of Jarlsberg), but I must make two points: Jarlsberg may not be lactose-free, just very low lactose. But no matter; that’s moot point once you start adding sour cream. LOL true about the sour cream! I am glad I am not lactose intolerant because I couldn’t live without my sour cream! This looks delicious! 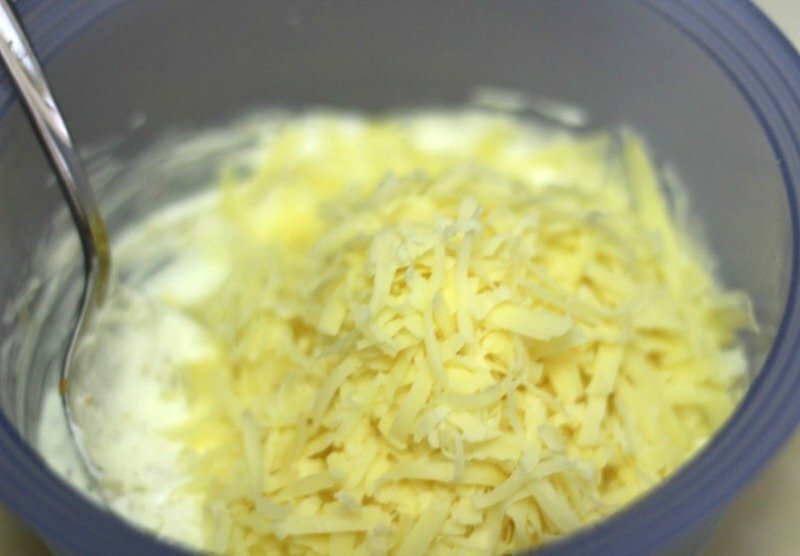 That’s a neat idea to shred the cheese but not melt it. Sounds really good, plus you can save the leftovers. I love cheese and dips! I think the only cheese I don’t like is Swiss, it’s just a little too bitter for but, if it’s melted, I’m okay with it. Weird I know. If you think people who don’t like cheese is weird, I have a friend who thinks peanut butter is disgusting. I think she’s broke! LOL she definitely is!! Who eats her Reese’s Cups lol. Yes! Cheese and bacon…enough said. Bacon! Yes! A dip with bacon and cheese is sure to be a winner in this family! I have to get some of that Jarlsberg cheese. I hope I can find some in our local store. I’m getting this dip and some crackers or tortilla chips ready for our weekly movie night! Now that I know to look for it, I’ve found it in two different stores! This sounds like a great cheesy bacon and onion dip recipe for any occasion. I have to admit that I don’t like anything with mayo in it and I have never heard of Jarlsberg cheese before. 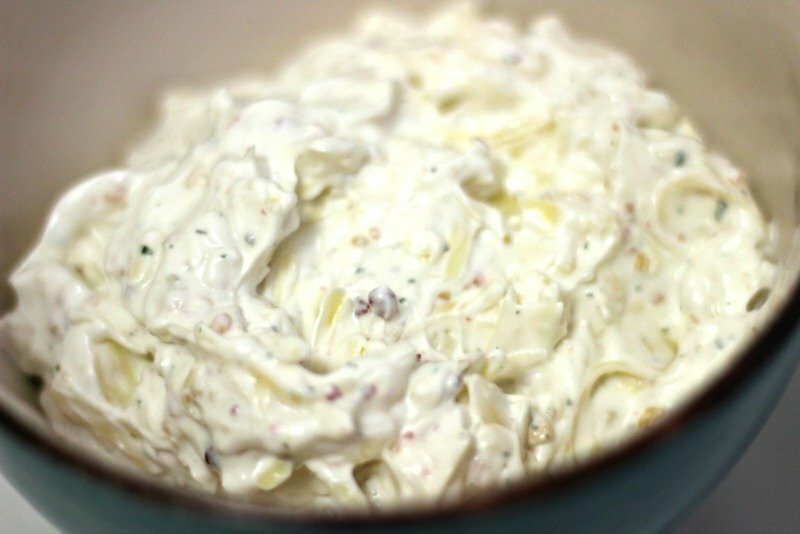 My family would how ever love this dip so I will have to make this for them. They would love this dip for sure. Thanks for sharing the recipe. I think you could make it without the mayo too! 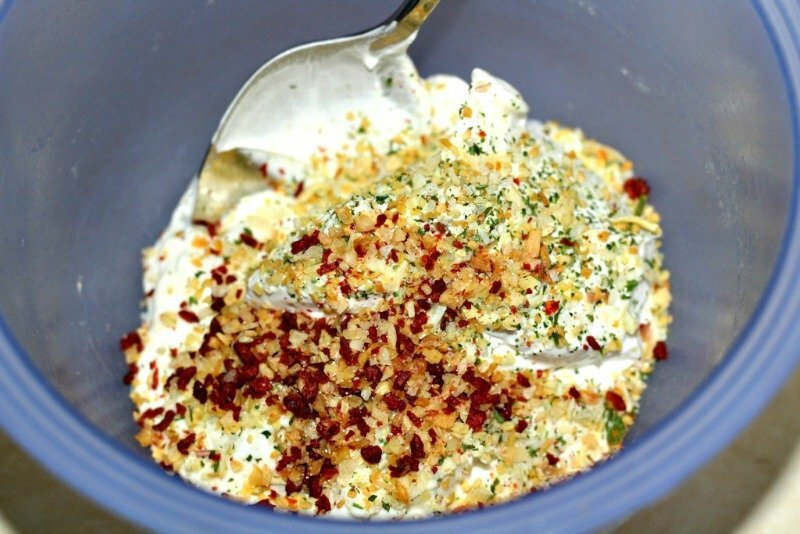 Dip – with sour cream and bacon – I’M IN! 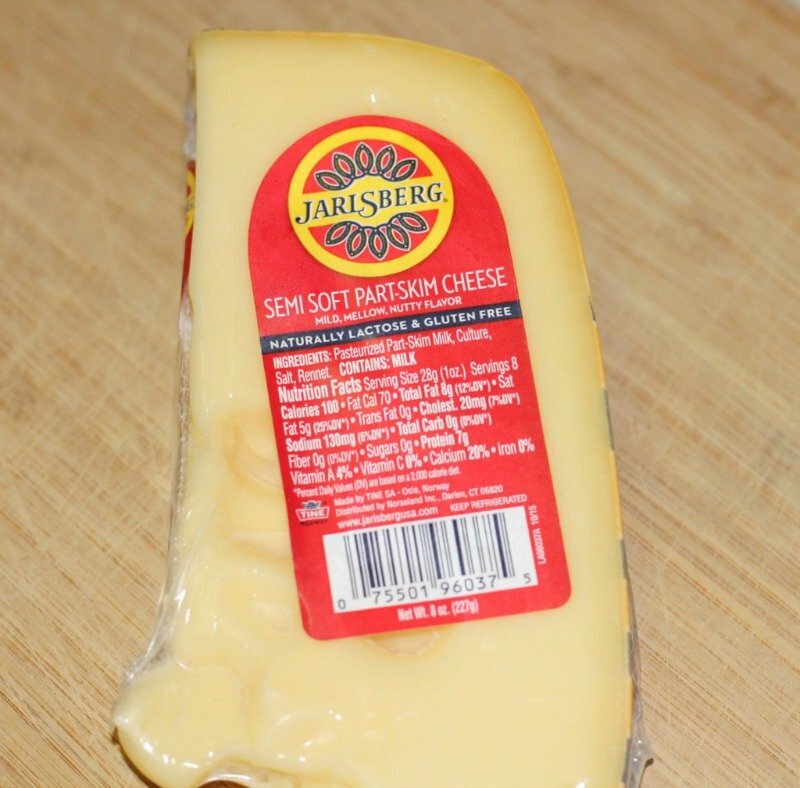 I love cheese but I have never tried Jarlsberg so I will definitely pick some up next time I’m at the store! I’ve never heard of this cheese before! That dip is sure calling my name, wow, delicious! I need to make more because it’s already gone! Haha, seriously though, who doesn’t love cheese! The dip sounds delicious! I know! What’s wrong with those people lol. I looove Onion dip and adding cheese and bacon to it just makes it more delicious!!! It does make it so good! You had me at dip! I love dip so much and this sounds so dang good! I have got to make this. Looks so delicious! I love Jarlsberg brand! Can’t wait to try this cheese bacon. I’ve never tried Jarlsberg cheese. But that dip looks amazing and now I must give it a try. I’m a huge cheese lover. I hadn’t either until this! It’s really good.